Today on the Datanauts, we move up the stack to think about Web application delivery. How are Web pages actually delivered to a client? What’s the role of the client vs. the role of the server these days? What do new protocols like HTTP/2 and SPDY bring to the party? From an infrastructure perspective, how do we make sure we’re optimizing the performance and user experience? If the last thing you got excited about with HTTP was pipelining, stay tuned to catch up with the latest on application acceleration. Our guest is Lori MacVittie, Principal Technical Evangelist at F5 Networks. 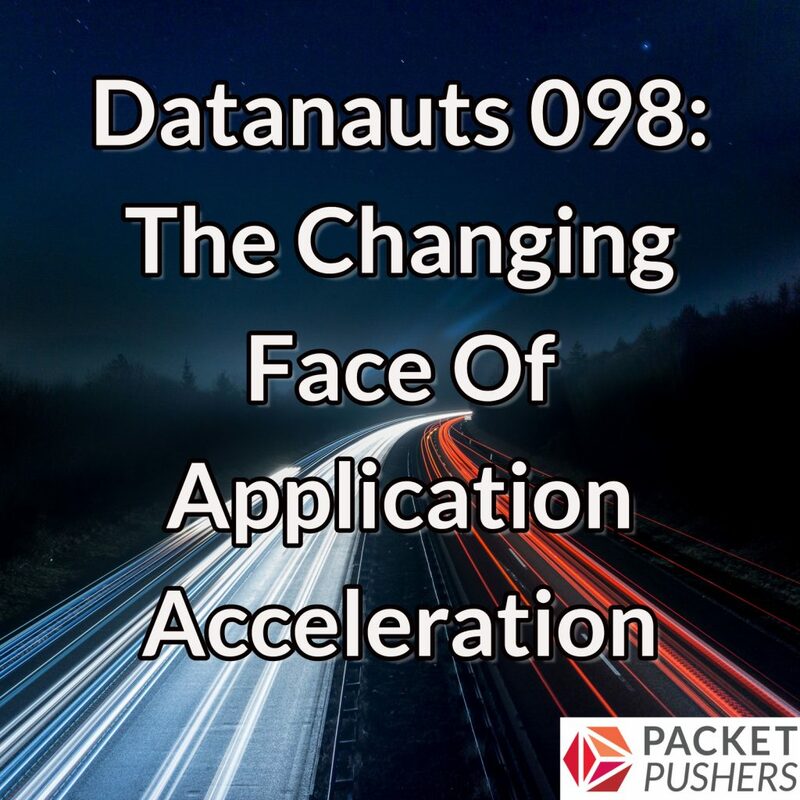 She and the Datanauts discuss the changes in application architecture as we’ve migrated from the early days of e-commerce to Web 2.0 to the current era of mobile devices and APIs. They also drill into acceleration options such as CDNs, image optimization, and compression, and then explore HTTP/2 and SPYDY.